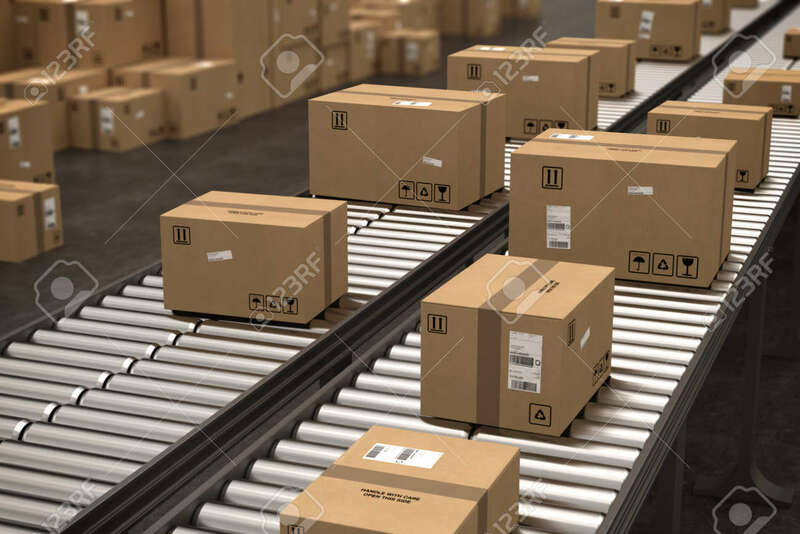 Boxes On Conveyor Roller. 3D Rendering Stock Photo, Picture And Royalty Free Image. Image 71732135.